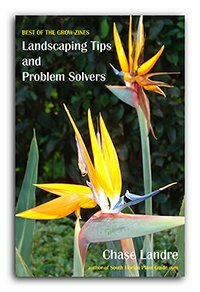 What's the best groundcover for hot, hot sun? Meet baby sun rose, an easy-care plant that thrives in hot, dry, sunny areas. 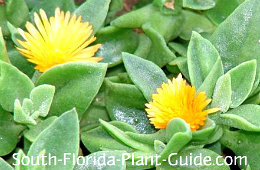 One of South Florida's very low growing groundcovers, it hugs the ground and blooms most of the year. The leaves are small and thick, and the pretty little flowers look like miniature asters. The most common variety has bright red blossoms, but it's also available with golden yellow blooms. The blossoms aren't elaborately showy since they're so small...but they have the added benefit of attracting hummingbirds. But these plants shine as groundcovers for smaller areas and as rock garden plants, rather than using them to fill vast expanses of garden bed. This plant won't get away from you like some groundcover plants. 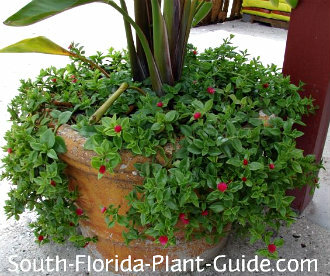 It grows at a leisurely pace and makes a beautiful container plant. This is one groundcover that stays very flat and grows at a slow to moderate pace. Though it needs the warm temperatures of Zone 10, in Zone 9B you can grow baby sun rose in a container or hanging basket to bring indoors during cold weather. 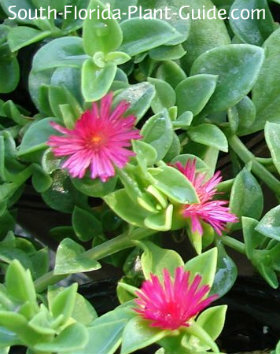 These plants prefer full sun and flower on and off all year, more during warm months. Both drought tolerant and salt tolerant, these make excellent beachside plantings. No soil amendments are needed. The only regular trimming necessary may be to cut back shoots from walks or drives. If it's flowing over a wall or the side of a pot, trim it back now and then to remove any stringy stems and encourage new growth. In spring - late March or early April - cut back the plants to remove any winter damage and they'll flush out again during warm weather. Water on a regular basis with enough time for the soil to dry out between waterings. Make sure the area is very well drained or this succulent plant won't make it. Fertilize twice a year - in spring and late summer - with a controlled release fertilizer. Place these plants about 2 or 3 feet apart. Because they don't fill in quickly, placing them fairly close together is fine. Come in about 2-1/2 to 3 feet from sidewalks and driveways. Baby sun rose is perfection as a plant to cascade down a wall, in a hanging basket or in a large container surrounding a taller center plant. COMPANION PLANT SUGGESTIONS: Mix with other plants that like it on the dry side, such as desert rose, crown of thorns, coontie, and vinca.